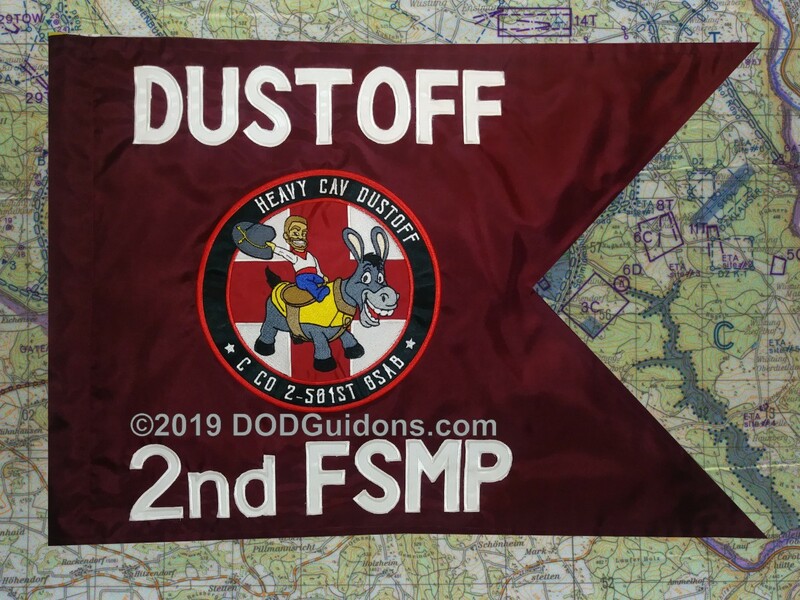 Custom Guidon are projects we enjoy since they take us out of the normal pace at the shop. Matching colors and getting the idea our customer wants to get is just fun to do. The digitizing was a bit longer than expected but the finished product was worth it.